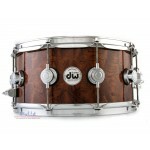 The Collector's Series Maple is crafted from only the finest hand-selected North American maple and ..
Collector's Series Maple snare drums are the standard from which all other DW snare drums are measur.. 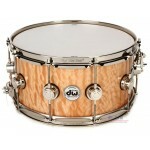 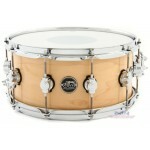 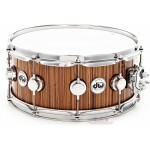 Specifications 14" x 06" Exotic series Colour: Vertical Zebra Chrome shell hardware 10.. 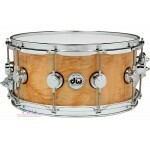 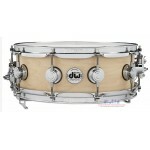 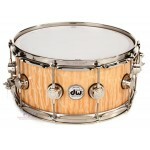 Features: Matching snare drum for your DW Performance Series kit A quality snare at an unass..
Color/Finish : Natural Satin Oil Shell Type : Maple Snare Drum Size : 14x6 Misc : Magnetic Throw-..
Complimenting the popular chrome-over-brass True-Sonic snare, the DW Pure Maple True-Sonic Snare Dru..